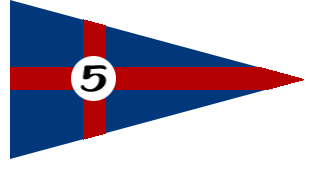 In 1944, five of Havana’s most prestigious Clubs, Havana Yatch Club, Havana Biltmore Yatch Club, Casino Español de la Havana, Miramar Yatch Club, and Vedado Tennis Club, joined to form the Big 5 Sports League. During the next 15 years tournaments were celebrated in different sports. By 1959 the Big 5 League had grown to include 9 Clubs, only to disappear with Communism arrival. Based on a meeting that took place by the manager committee selected in the referendum on December, 1967. On 1968, a group of Cuban Exiles led by Dr. Manuel R. Morales Gomez founded the Big Five Club in order to preserve the Cuban Traditions and Culture in Exile. The early years were not easy, but through their perseverance and hard work they achieved their goals. Today, the Big Five Club continues to offers its Members an atmosphere where Family Values and the development of our Children is the primary goal. Our club prides itself on the facilities provided our members can enjoy a wide array of Social and Sports activities. Not only members can attend events but we also do Social and Corporate events. The club has a pool, 2 bars, tennis and squash courts, baseball and basketball field, summer camp, 4 ballrooms and a restaurant.